This week, Disney announced some new entertainment offerings that will be coming to Disneyland and Walt Disney World next week as part of Limited Time Magic. 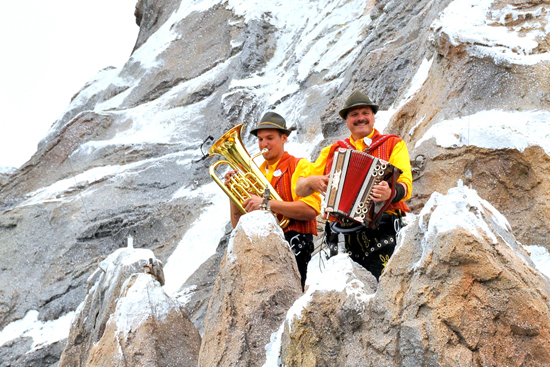 This week, visitors to the parks will be able to enjoy new performances, including the return of musicians on the Matterhorn. While visitors to Disneyland Park have been able to see mountain climbers regularly climbing up the Matterhorn, next week will bring some new faces atop the iconic mountain. From July 8-14, the musicians Happy Hans and his son, Erik, will be bringing their Alpine melodies to the park, as they will perform on the slopes of the Matterhorn. In addition, guests will be able to enjoy Matterhorn Macaroons from Edelweiss Snacks for a limited time. Over in Walt Disney World, guests at Epcot will be able to enjoy a much different kind of performance, as Mickey and his friends will be performing “Mickey’s America Streetbeat” at the America Gardens Theater. From July 8-14, Mickey, Minnie, Goofy, and Donald will be joined by a troupe of dancers for a display of hip hops, acrobatics, and percussion. For more information about Disney’s Limited Time Magic promotion, visit www.limitedtimemagic.com.